Throughout her life, Becky has maintained relationships with people throughout our region. These relationships help keep Becky up to date on the needs and issues affecting our community. She has stayed an active member and plays an active role in the following organizations. The Far West Texas Water Planning Group provides five year plans for the counties in Far West Texas and Becky has served as the representative for Culberson County since 1998. The Big Bend Community Action fights poverty, empowering the disadvantaged, promotes self-sufficiency and overcomes barriers. Some of the issues that the committee focuses on are transportation, weatherization and providing assistance with utility bills. Becky represents Culberson County. The YWCA Child Care Services Board oversees child care management services which provides Rainbow Express Depot Day Care Center subsidizing. Becky remains Director, 25 years and counting responsible for the entire operation, making sure the day care center is run in accordance to Texas minimum standards. The Van Horn Rotary is a local chapter of Rotary International. The Van Horn Rotary fundraises each year to provide local scholarships and raise money for local causes. Becky has been an active member for over 15 years and helps fundraise by selling advertising and volunteering to participate in local events.. 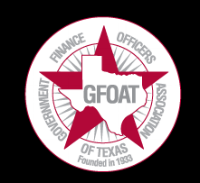 The mission of the Government Finance Officers Association of Texas is to enhance the quality of local government finance, to assist and support local government finance professionals in Texas, and to promote the public service profession. Their primary purpose is to create better finance officers. This organization provides training for Becky's Chief Financial Officer role at Culberson Hospital. The mission of the Culberson County-Allamoore ISD SHAC is to ensure that all children and staff at the CCAISD will have healthy bodies and minds through sequential wellness education, practices, and modeling of good health behaviors. Becky plays an active role by attending scheduled meetings and making recommendations for school and student health needs.